Born in Eunice Louisiana and raised in Kansas City, Missouri, Kenneth Atchity went on to receive his Ph.D. in comparative literature from Yale. 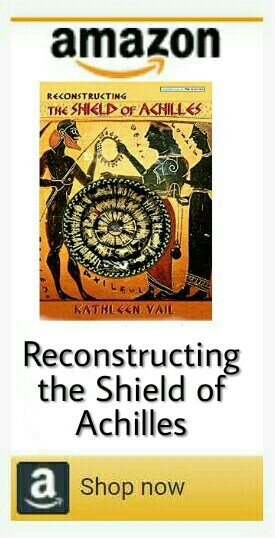 In fact, his dissertation became his book, Homer’s Iliad: The Shield of Memory and Dr. Ken was awarded the John Addison Porter Prize for this excellent work. He served as professor and chairman of comparative literature and creative writing at Occidental College, as Fulbright Professor at the University of Bologna, and as Distinguished Instructor of the UCLA Writers Program. Atchity was also a regular columnist-reviewer for the Los Angeles Times Book Review. Dr. Atchity’s popular books include The Classical Greek Reader, The Classical Roman Reader, The Renaissance Reader, and several nonfiction books offering help for writers at all stages of their career. He’s also written several novels, the most recent of which include The Messiah Matrix and Seven Ways to Die (With William Diehl). For commercial and literary writers who aim to publish their works across all media, from books to film and television to complete online representation, Dr. Atchity heads a full suite of media development and management companies, including Story Merchant, AEI Online, and The Writer’s Lifeline. With his vast experience and generous support, Dr. Atchity has helped many novelists, nonfiction writers, and screenwriters hit the bestselling lists. He has also produced 30 films, including Hysteria, with Maggie Gyllenhaal and Hugh Dancy; The Expatriate, with Aaron Eckhart; The Lost Valentine, with Betty White; Gospel Hill, with Danny Glover; Joe Somebody, with Tim Allen, Life or Something Like It, with Angelina Jolie; The Amityville Horror: The Evil Escapes, and Shadow of Obsession, with Veronica Hammel; and The Madam’s Family, with Ellen Burstyn. See Dr. Ken’s full film bio at IMDb. Excellent presentation and review,dear Kathleen!He is a remarkable scholar and a prolific writer.I checked out all his books in the Amazon site.Truly,”It is our memories that make our heroes immortal”,it feels as if they are still alive.Thank you for this superb post,his book is timeless. Oh, yes, that’s one of the best points I took away from Dr. Ken’s book – you’re right, it feels like they are still alive! you’ve captured it perfectly. Warm greetings, dear friend! PS:There are references that Homer was born in the island of Chios …. Read my note and delete it.Thank you. Yes, that’s right! Your recent journey and photos of Chios made me very interested to visit and here’s the perfect reason to make sure that happens! Thanks for reminding me, Dear Friend! Kathleen I absolutely love this post. It certainly gives a new slant on the story, LOVE at its best. When I moved to Crete I did not know anything about Greek history or Homers’ Iliad. It has been through the study of the Linear B tablets over the past three years I have become enthralled with the history of this country which is fascinating. Thank you for such a wonderful history lesson. Thanks Rita! I’m really an optimist at heart and just love to see the beautiful perspectives that others notice. You are right in the middle of such a great effort to help us all see the Minoan and Mycenaean histories more clearly, and surely more beautifully, as well! How exciting!